Photojournalist David Walega knows how to capture a potent moment in time for people and animals alike. Walega’s career has taken him to Africa and back covering stories from war to homelessness. In recent years, this Seattle photographer now shares with others how art — including drawing, painting, ceramics and photography — can help us discover our inherent empathy for all animals. 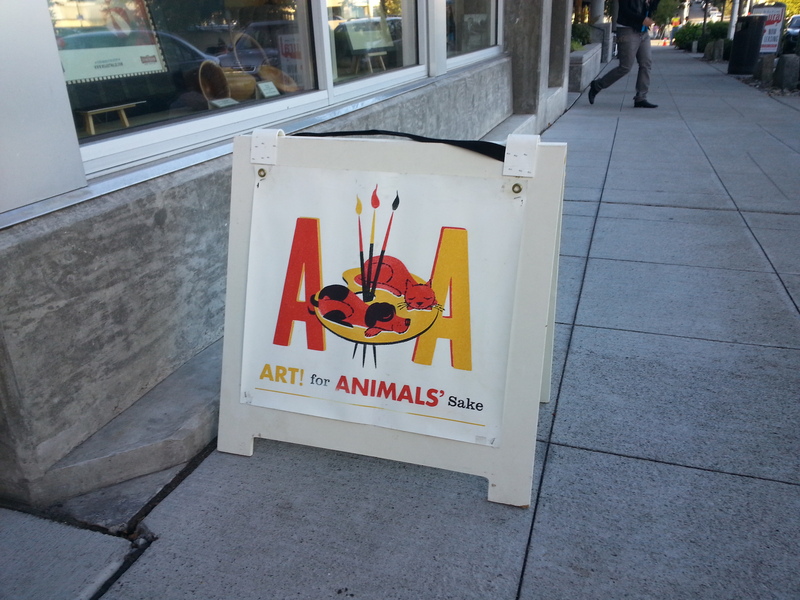 Walega is the founder of Art for Animals’ Sake (AFAS), a Seattle-based nonprofit that provides education to support animal-cruelty prevention and awareness of animal advocacy issues through art. Along with animal advocate Melanie Sears and art instructor Jessica Ishmeal, this organization holds art classes and provides other opportunities for young people to learn drawing, photography and painting as a way to connect with animals. The goal of AFAS’s workshops is to instill a sense of compassion toward animals through the intimate act of art and to help the artist make future life choices with kindness toward animals in mind. I met in Walega and Sears at a fund-raiser hosted by Wallflower Custom Framing in West Seattle, where local glass artist Shannon Felix was selling custom-glass black cat sculptures to benefit AFAS. Much like the featured cat figurine, Felix’s studio, Avalon Glassworks, creates unique blown-glass art with stunning colors and deep tones reminiscent of Impressionist paintings. Felix explained that her previous experience sculpting animals was inspired by her leopard gecko, but this was her first time sculpting cats. 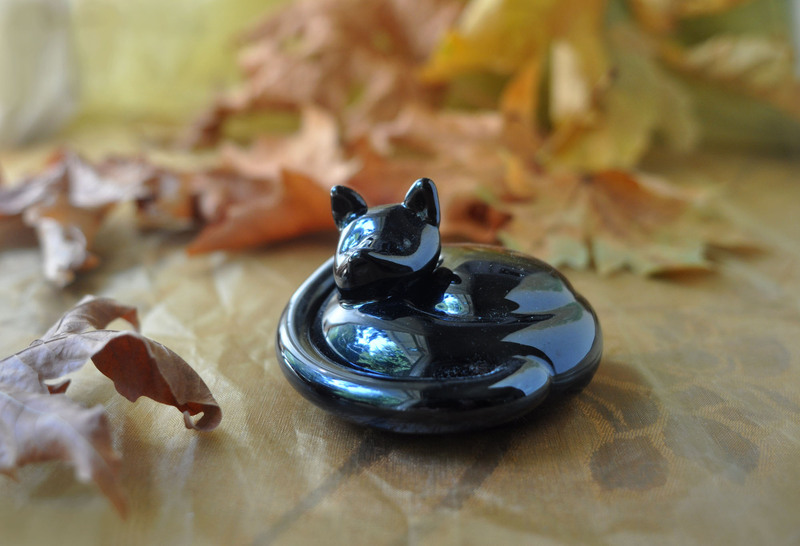 Felix and Walega collaborated to feature the black cat sculpture to bring awareness to the issue of so-called black-cat or black-dog syndrome. This is a phenomenon anecdotally seen by animal shelter workers in which black animals are often overlooked for adoption despite equally pleasant temperaments, compared to their lighter-colored counterparts. Walega explains that this may be because darker animals do not appear as well in photographs on animal adoption sites. Bea Hughes, a coaching professional and fellow member of the West Seattle Westside Professionals business association, attended the fund-raiser and was picking out one of the cat sculptures when we met. Following an assignment to document the daily lives of homeless youths in Seattle, Walega arranged one of the first AFAS workshops, where he taught drawing, fine art and painting to homeless youths and young adults at a shelter operated by Peace for the Streets by Kids from the Streets (PSKS) in Capitol Hill. 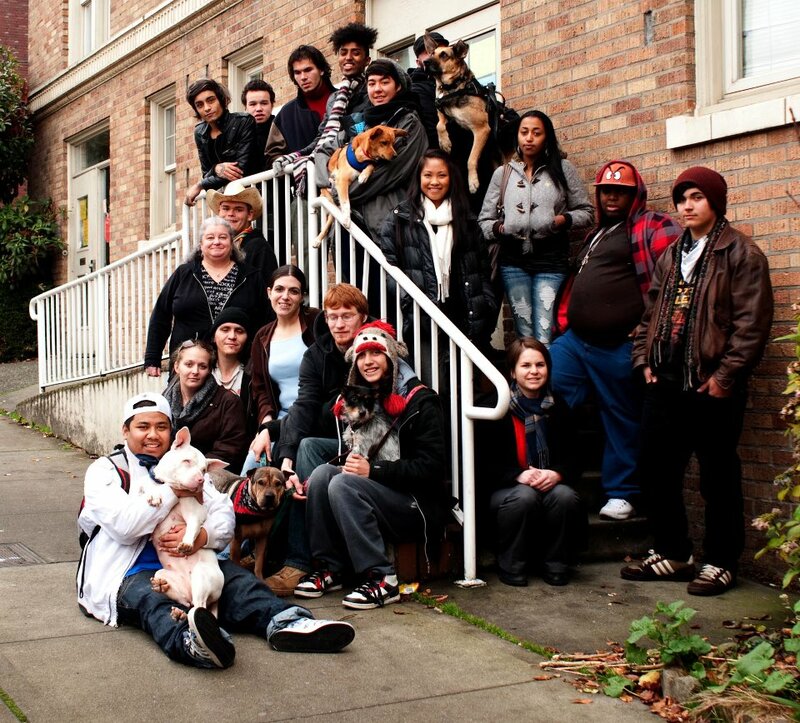 PSKS (www.psks.org) offers support services to homeless youths and young adults, as well as to their companion animals. This workshop helped participants focus on their love for their companion animals by depicting them in works of art. AFAS recently received a grant from the World Peace Earth Foundation (worldpeaceearth.com) and the Pollination Project (thepollinationproject.org) to offer its Animals R. Terrific (ART) workshop this October. The event will focus on teaching compassion for all animals through art, and the event includes a plant-based lunch free of animal products. Trader Joes and Seattle’s Field Roast Grain Meat Co. are providing in-kind donations for the event menu. The muses for the workshop will be chickens Pearl, Millie, and Gertrude, whose human caretaker will bring the gals to the studio for the afternoon. Although backyard chickens are legal in Seattle, most chickens in the United States live in cramped and cruel conditions in factory farms and are used for egg or meat production. The ART workshop is a rare opportunity for teenagers to observe these animals in an art studio and learn to replicate their colorful feathers in paint and pencil. According to Walega and Sears, this workshop gives students the opportunity to see chickens as individual beings rather than a meal. The Animals R. Terrific Workshop is on Sunday, Oct. 20, from 11 a.m. to 4 p.m., and is open to kids 10 to 15 years old. Visit the Art for Animals’ Sake website to learn more about this organization or to register for the workshop. While animal advocacy comes in many forms ranging from direct rescue, sheltering, protesting or working toward legislation, using art to help people connect with animals opens up another avenue to share the reasons we must protect animals. Art for Animals’ Sake is working through art to help people find the emotional awareness and empathy to consider the well-being of all animals in the choices of our daily lives. CHRISTIE LAGALLY is a writer and the editor of Living Humane (livinghumane.com). She also writes a blog called “Sniffing Out Home: A Search for Animal Welfare Solutions” at http://www.sniffingouthome.org. To comment on this column, write to CityLivingEditor@nwlink.com. Great article and great info Christie. Merci! I’ll go to the website avalonglassworks…hoping the blk. glass Kitty is not too expensive!